Seven colleges will be paying the Real Living Wage of £9 per hour at their May Balls this year, Varsity has found, while at least three colleges will be paying lower than the National Living Wage of £8.21 per hour. 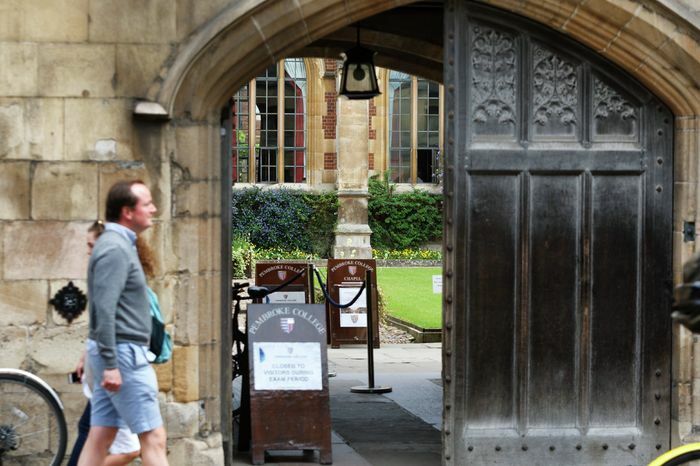 Over half of Cambridge’s colleges are set to hold May Balls or June Events this summer. The Real Living Wage of £9, calculated by the Living Wage Foundation, is different to the National Living Wage, which is set by the government and constitutes the minimum wage for over-25s. The Real Living Wage is based on the real cost of living in the UK, and numerous companies choose to pay it, although it is not enforced by the government. From April 2019, the National Living Wage will rise from £7.83 to £8.21, while the National Minimum Wage after April 2019 will be £8.21 for over 25s, £7.70 for over 21s, and £6.15 for over 18s. The May Balls which are set to pay at least the Real Living Wage this year are Darwin, Downing, King’s, Pembroke, Homerton and Sidney Sussex. Of these, Homerton pays the highest – perhaps explaining its popularity with applicants this year – offering a minimum of £13 per hour, and £16.50 per hour for clean-up workers. After being contacted by Varsity, Emmanuel also increased its wages to align with the Real Living Wage, stating that: “We would never want a member of our team to feel unappreciated or undervalued”. Churchill, Robinson and Queens’ will all pay above the April 2019 National Living Wage. Churchill’s Spring Ball takes place in February, when the National Living Wage is still £7.83, while Robinson states that added to this will be a “premium to compensate for the unsociable hours”. Gonville and Caius and Jesus will pay below both the Real and National Living Wages, offering wages of £7.50 an hour and £8 an hour respectively, with wages adjusted for those over 21. Jesus May Ball Presidents Kate Fitzpatrick and Jacquie Rowe stated that “Jesus College May Ball offers its workers many perks, including free Ball food and soft drinks during their shift,” which the committee believes supplements the lower wages. Varsity was unable to find figures for Corpus Christi, Magdalene, Peterhouse, Selwyn, Wolfson and Hughes Hall. However, Peterhouse informed us that this is because their wages are not yet finalised, while Trinity confirmed that it would at least be paying “an hourly rate that accords with the Government's national wage guidelines” alongside offering its workers meals and the ability to ballot for a ticket next year. Corpus Christi, Magdalene and Selwyn did not respond to Varsity’s requests for information. Varsity has also reached out to Wolfson and Hughes Hall May Ball committees.